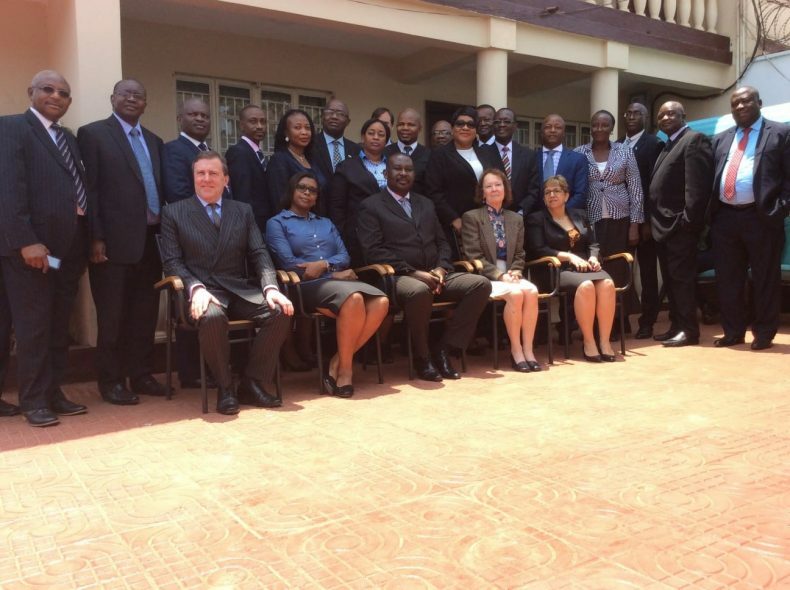 Simon Mallett has recently returned from Sierra Leone where he was helping to train the Judiciary. Along with HHJ Simon Carr (the Honorary Recorder of Truro) and Justice Doherty (A Judge of the Residual Special Court for Sierra Leone) and some members of the Sierra Leone Judiciary, they provided an Advanced Refresher Course for Experienced Judges and an Orientation Course for Newly appointed Judges. The training was organised by the Sierra Leone Judicial and Legal Training Institute in collaboration with the UK Sierra Leone Pro Bono network and took place over four days in Freetown. It was supported by Role UK. The photograph shows Simon with some of the judiciary and trainers, including the Honourable Chief Justice Desmond B Edwards.